A little while back I shared the recent cover I did for Anthology Magazine‘s sartorial issue. 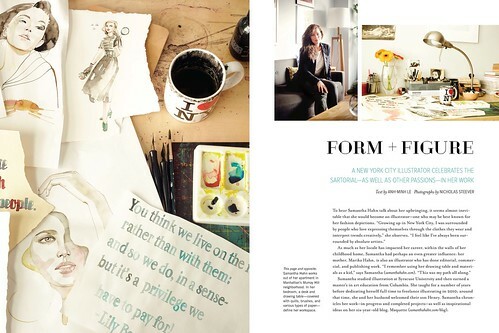 Today I thought I’d give you a closer look at the really lovely feature they did on me/my work and home. You should definitely pick up the issue. Here’s the issue trailer to give you an overview. 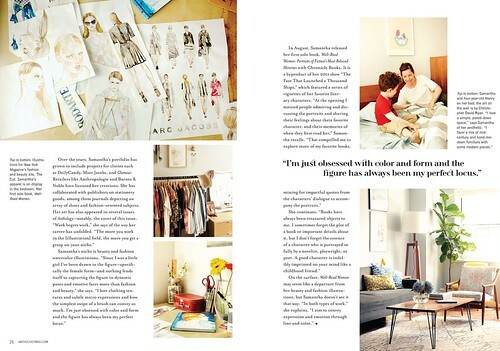 This issue is packed with great stuff from a stylish dinner party with Erin Fetherston to Rubi Jones‘s Parisian flat to beautiful photos by my friends Tara Donne and Alpha Smoot there’s so much to see. I kind of want to move to Heidi Merrick‘s house…just saying. A lovely piece in a lovely magazine. Great having “met” you there. Beautiful spread and write up. Is this issue still in stores, I’d like to pick it up.